Impulse responses are recordings from real acoustic spaces. Longer than anyone in the industry, and with more ear for detail, Audio Ease has been traveling the world to record the acoustics of the very best sounding spaces. The results of hundreds of these travels are included with Altiverb. Ranging from London's Wembley stadium to the ancient caves of the island of Malta and the churches, concert halls and rock studios of the cities of Paris, Amsterdam, Berlin and New York. Altiverb can apply these impulse responses to any audio recording, making the recording sound as if it was played back and recorded in these real places. Scroll down to browse through the Audio Ease library of sampled acoustics for Altiverb, the IR library. island of Malta and the churches, concert halls and rock studios of the cities of Paris, Amsterdam, Berlin and New York. Altiverb can apply these impulse responses to any audio recording, making the recording sound as if it was played back and recorded in these real places. Scroll down to browse through the Audio Ease library of sampled acoustics for Altiverb, the IR library. Audio Ease keeps on recording and refining their techniques and new IRs are added regularly to Altiverb, free for all Altiverb users. Acoustically, the Berlin Konzerthaus's large hall is considered to be amongst the five best concert venues in the world for music and/or opera. The original building stems from 1817. Severely damaged by Allied bombing and the Battle of Berlin the building was rebuilt from 1977 onwards and reopened as the concert hall of the Berliner Sinfonie-Orchester in 1984. The exterior, including many of the sculptures of composers by Christian Friedrich Tieck and Balthasar Jacob Rathgeber, is a faithful reconstruction of Schinkel's original designs, while the interior was adapted in a Neoclassical style meeting the conditions of the altered use. The large hall is a shoebox shaped hall. The Amaryllis Fleming concert hall of the Royal College of Music in London, UK, is a performance space of the highest international standard, which can accommodate large orchestral and choral concerts. It is of a classic 'shoebox' design, which is considered acoustically ideal. The Manhattan Center on West 34th Street houses the spectacular Grand Ballroom. Conveniently connected to two in-house recording studios. 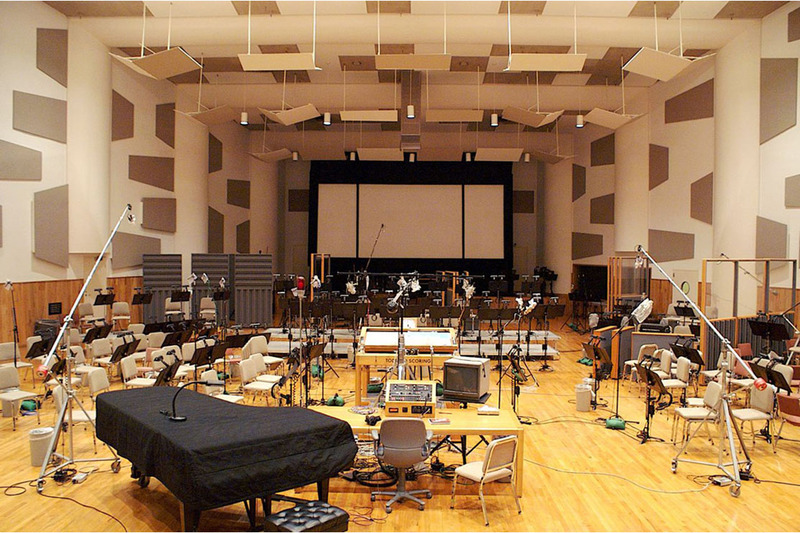 This has been the place where orchestral film scores for Noah, Walter Mitty, and True Grit were recorded. De Doelen is the number two concert hall of The Netherlands, both in acoustic quality and in amount of visitors per year. There are no echoes in this room. The acoustics of the Doelen have been praised by visiting conductors and musicians because the sound on stage and the inner hall is excellent. An unusual aspect of De Doelen is the use of marble throughout the hall. This is one of the largest classical music venues in Europe. 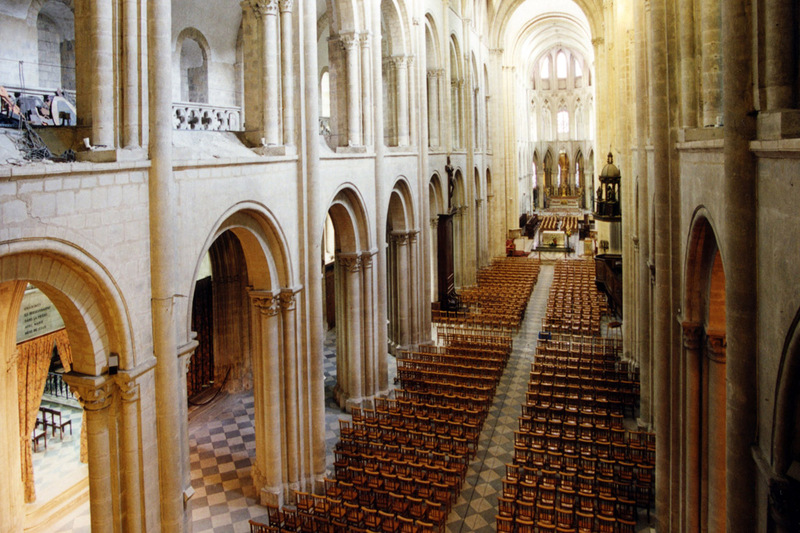 It seats 2500 and its celebrated acoustics were designed by Karlheinz Mueller. Even without government subsidies, the Festspielhaus has become a regular stop for all the classical music superstars, and has grown to be one of the foremost classical music hotspots in central Europe. The concert hall of the The Congress Center in Zlín, Czech Republic is one of the very few oval shaped concert halls in the Altiverb library of acoustics. It was recorded by Sonokinetic, in close collaboration with Audio Ease. 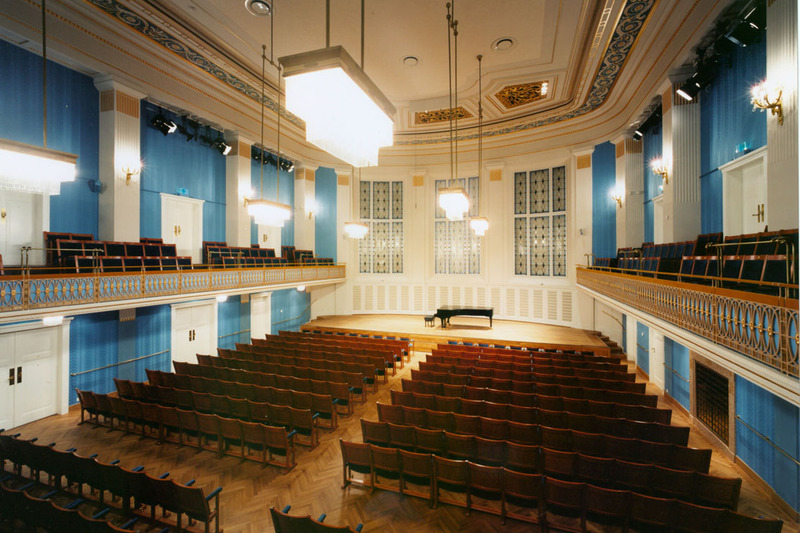 Sonokinetic recorded many of their orchestral and choral sample libraries in this very hall. In October 2018 they managed to record a full set of impulse responses for all Altiverb users. Three stage positions and three microphone depths are available. The Zlin concert hall is also the home recording hall for the Capellen Orchestra & Choir, a custom sized, quality studio symphony orchestra and choir from a selective group of musicians from Czech, Slovakia, Austria and Hungary, in frequent use for film productions. That is why we wanted to add this hall: it can be of great help in film productions that have been recorded in whole or in part in this hall, or with sample libraries produced in this hall. Situated on the Zand, the largest square in Bruges, the Concertgebouw's stunning structure complements the surrounding architecture, lending a spacious element to the city's landscape. The world-class Concertgebouw is a triumph of creativity, form and functionality, offering two superb auditoria. The Arena is used for concerts and for large scale TV productions such as "Wetten Das". It is the home of ice hockey team Hannover Scorpions, and seats 10767 fans during a play, and 14000 during a concert. The ice hockey world championships 2001 were held at The TUI Arena. Built in 1731 by Grand Master Antonio Manoel de Vihea as a public theatre. In 1950 started a 10 year restoration, and the theatre has been in operation again since 1960. St James Cavelier, Centre for Creativity first opened its doors to the public on the 22nd of September 2000. As the Maltese Government's Millennium Project it has taken on the role of pushing forward Malta's cultural aspirations. It is widely believed that this is 'Icanhoh', where St Botolph built his minster, making the remote place of Iken one of the earliest centres of christian activity in east anglian. 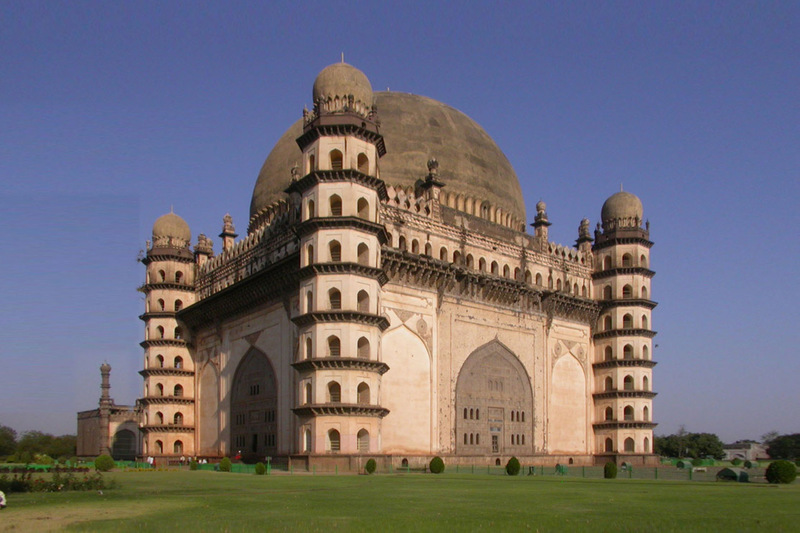 Marvel at your sounds bouncing off of craftsmanship spanning over a thousand years. 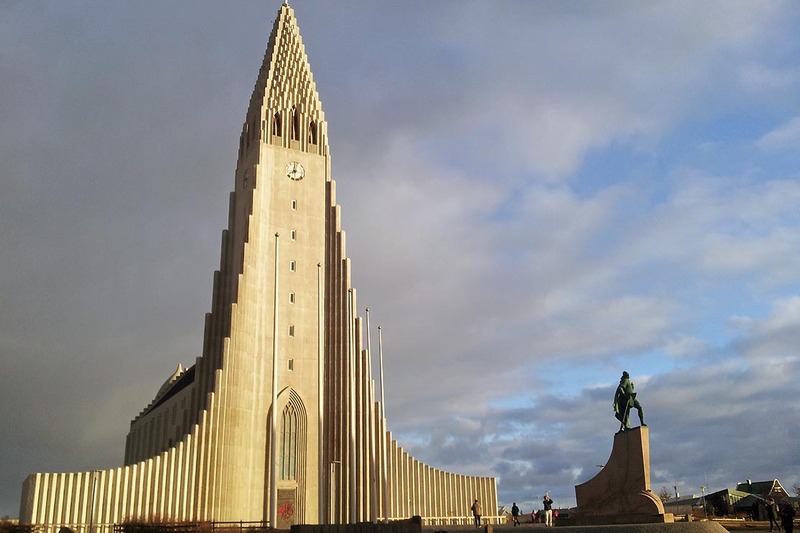 This iconic Islandic church is the tallest building in Reykjavik, making it a true landmark. The modern church features a surprisingly natural, clean reverb tail that is longer than one would expect at first. This particular room has often been credited as the best chamber music recording venue in the world. 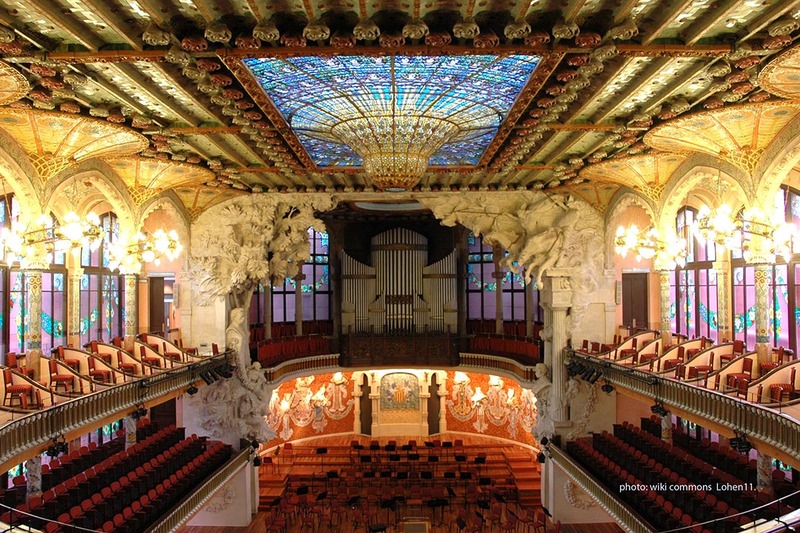 It is a top favourite with leading ensembles and soloists - as well as a popular venue for recordings. The perfect setting for all types of chamber music, an ideal size in which to experience the intimacy of chamber music and recital performances. The original building stems from 1817. Severely damaged by Allied bombing and the Battle of Berlin the building was rebuilt from 1977 onwards and reopened in 1984. The exterior, including many of the sculptures of composers by Christian Friedrich Tieck and Balthasar Jacob Rathgeber, is a faithful reconstruction of Schinkel's original designs, while the interior was adapted in a Neoclassical style meeting the conditions of the altered use. The small hall is a shoebox shaped hall. These impulse responses were recorded in March 2014, using DPA 4006 Microphones and a Genelec 1037 speaker. The Empire Hall samples are of exceptional acoustic quality, and among the engineers favourite of the complete set. They are intimate, reverberant in a smooth manner, and reveal little resonances in the low frequencies. KAS Music's Live room A is one of the largest Live rooms on the East Coast. It can handle a 70 piece orchestra in terms of space and reverb and at the time of this IR release it is undoubtedly one of the best sounding, if not the best sounding scoring stage in Altiverb. Full and open sounding with very little high roll-off. This is where Placido Domingo and Tony Bennett go to to record their vocals. (Tony Bennett / Lady Gaga - Cheek to Cheek, Placido Domingo - Verdi: The Tenor Arias). Recorded using 6 DPA 4006 omnis and a Genelec 1032. The Hammerstein Ballroom is one of New York City's most renowned performance venues. This popular 2200 capacity hall in Midtown Manhattan hosted countless rock and pop concerts, award ceremonies and fashion shows. Originally constructed in 1906 as an alternative opera house to the Metropolitan Opera. A variety of digital and analog hardware reverb units. Together with Stanley Arts, Aram went out on an adventure to capture the essence of this classic digital delay and reverberation icon from the late 1970s. In this IR set, featuring over 300 IRs, all 16 programs (Rooms, Combs, Fatty, Cloud, Echo, Space) have been captured in three feedback settings and with three different delay time settings, with medium reverb, with long reverb and without reverb options. On top of that this IR set also features all separate delay taps of all programs. This way you can dive in deep and get really close, dialing in your own settings. And then we also proudly include some of Stanley's personal favourite settings. Sorry, your browser does not support HTML5 audio. Sorry, your browser does not support HTML5 audio. Sorry, your browser does not support HTML5 audio. Sorry, your browser does not support HTML5 audio. Sorry, your browser does not support HTML5 audio. The SST-282 audio examples are recordings of the DRY input track played through the actual SST-282 Space Delay in Stanley Arts' studio at the actual IR recording session. The ALTIVERB examples are bounced tracks from a Reaper session in which the DRY input has the Altiverb 7 plug-in inserted on its track and this Altiverb 7 has loaded the IR of the same SST-282 setting. A stretch of SST-282 DA converter noise was mixed into the Altiverb mock up to make the comparison fair. For the joy of listening to a nice piece of music, both examples have the same amount of DRY input mixed to it. The guitar example is a snippet from Kiss Landing by Pierre Bensusan. The 246 audio examples are recordings of the DRY input track played through the actual 246 digital reverberator at SoundStash Studios in Graz at the IR recording session. The ALTIVERB examples are bounced tracks from a Pro Tools session in which the DRY input has the Altiverb 7 plug-in inserted on its track and this Altiverb 7 has loaded the IR of the same 246 setting. A stretch of 246 DA converter noise was mixed into the Altiverb mock up to make the comparison fair. This stretch of noise can be downloaded here. Audio Ease proudly shares the Ecoplate II from CSF Mastering sampled by Andrés Millán and Camilo Silva F.
This Ecoplate II and her sister were originally installed in ‘El Estudio Ltda’, one of the most renowned studios in Bogotá during the decades of the 80’s and 90’s. The recording studio closed around 1998 and was abandoned until it was bought by the Colombian artist Galy Galiano who reopened and redesigned the estudio which kept operative from 2001 until 2010. During this time there was only one of the two Ecoplates II working. Once the landlord asked for the property, the studio closes and most of the gear is sold. Then, both plates were bought by Jairo Varela (leader of the Salsa Orchestra Niche), and he brought them to Cali - Colombia. After Jairo passes the way, the former vocalist of Niche, Mauro Castillo, brings them back to Bogotá for repair and tuning with Camilo Silva F, who agreed to repair them as long as he could keep one for the studio. The input and output circuits were restored and modified with high-grade opamps by Camilo. Sorry, your browser does not support HTML5 audio. Sorry, your browser does not support HTML5 audio. Sorry, your browser does not support HTML5 audio. Sorry, your browser does not support HTML5 audio. Sorry, your browser does not support HTML5 audio. Sorry, your browser does not support HTML5 audio. Sorry, your browser does not support HTML5 audio. The Ecoplate II audio examples are recordings of the DRY input track played through the actual Ecoplate II hardware reverb at the IR recording session by CSF Mastering. The ALTIVERB examples are bounced tracks from a Pro Tools session in which the DRY input sends to an Aux track with the Altiverb 7 plug-in inserted and Altiverb 7 has loaded the IR of the same Ecoplate II setting. The mixed guitar presets both have dry signal mixed into it for a nice real world example. This legendary digital reverb from the 1980s is recorded by Aram Verwoest @ SoundStash Studio, with Georg Walt. Georg owns several units and in the nice comforts of his modern studio we could workout how to best sample this iconic reverb. The two echo and four default reverb programs are sampled and all low and high damping configurations at eight different reverb time lengths per program. This basically covers the entire unit and allows you to dial in any setting by choosing the right IR in Altiverb. The DRE 2000 audio examples are recordings of the DRY input track played through the actual DRE 2000 hardware reverb at the IR recording session by Aram in SoundStash Studio. The ALTIVERB examples are bounced tracks from a Pro Tools session in which the DRY input sends to an Aux track with the Altiverb 7 plug-in inserted and Altiverb 7 has loaded the IR of the same DRE 2000 setting. This impulse responses set gives you all the reverb programs of one of the very first and yet still highly regarded digital reverbs, sampled in a very precise way. Providing the two stereo outputs (as separate stereo sets and as a combined quad out set) and almost all combinations of the three levers. This classic reverb is (still) heard on many records. The EMT 250 audio examples are recordings of the DRY input track played through the actual EMT 250 hardware reverb at the IR recording session by Arjen in New York. The ALTIVERB examples are bounced tracks from a Pro Tools session in which the DRY input sends to an Aux track with the Altiverb 7 plug-in inserted and Altiverb 7 has loaded the IR of the same EMT 250 setting. The IM90 is a French Multi-effects unit with a wide range of reverb, delay and echo programs. On top of that it is multi-sampler and a real-time pitch shifter. This impulse responses set for Altiverb features all the reverb programs. The programs with musical focus also include a long variant (twice the original preset’s decay setting). This has become a rare effects machine, which is a shame as it is extraordinary in almost everything it can do. Released in 1993 this rock solid reverb sits in almost every live-rack for over decades now. The IR set includes the favourite presets like Big Snare and Bamboo room. With its 44.1 kHz sampling rate and 20bit depth this unit sounds surprisingly clean. Even though this unit dates from 1982 it is still used a lot today, praised for its rich or natural sound. It is loved by many award winning engineers. Zach McNees sampled quite some different decay lengths for all programs and for the Stereo Room also a low diffusion set. The Hi Density Plate and Plate Reverb are both unique. And because of modern convolution techniques all samples lack the noise you typically get from this box. The specific unit Zach McNees sampled is owned by Matthew Marinelli at Exile Recording/Coral Sound. The SP2016 audio examples are recordings of the DRY input track played through the actual SP2016 hardware reverb at the IR recording session by Zach McNees. The ALTIVERB examples are bounced tracks from a Pro Tools session in which the DRY input sends to an Aux track with the Altiverb 7 plug-in inserted and Altiverb 7 has loaded the IR of the same SP2016 preset. Audio Ease proudly shares the Grampian Spring IR from Dan FitzGerald. This set features the original (mono) Grampian Ambiophonic Unit Type 666 and also Dan's modified stereo double set of 666's called the SoundSound Spring (SSSpring). "Legendary UK Producer Joe Meek and guitarist Pete Townsend used the same spring tank (from the Hammond tonewheel organs) but now with BBC designed electronics. This ingenious circuitry had very high drive current capability, using an output stage commonly seen in car radios. but limited by a simple bulb in series with the drive coil. As the bulb lights, resistance increases dramatically. Limiting and Overload warning. Curiously Green. The extremely quiet recovery circuit would give modern Class A Mic Preamps a run for their money. The devices were manufactured for the BBC by Grampian Reproducers, a U.K. manufacturer of a diverse range of professional audio products. From Microphones to Vinyl Disc Cutting heads. There were different versions of the Grampian. Pete Townsend’s version strangely could run on batteries and included a balanced mic input. The strangeness or perhaps psychotropicicity continued with the naming of another version, The Grampian Ambiophonic Unit Type 666. This variation apparently was used in Local Radio Studios by the BBC as an affordable substitute for the EMT140 Plate. I first heard this device at concerts mixed by one of the earliest live sound engineers, Nicky Ryan. He mixed live and produced records for Clannad and later Enya, which continues to this day. Decent digital reverb had not appeared at that time so this was really the only affordable game in town. Another live engineer friend Mairead O’ Reilly and I both acquired 666’s. We noticed that the sound of the two used together, dual mono, causes a very wide spacious effect. So we built a copy of the Grampian, with an external PSU and a various other refinements. Let’s call it the SoundSound Spring. SSSpring for short. This SSSpring had an external Power Supply which eliminated all hum. But like the original its outputs were strong enough to drive a loudspeaker. Quiet clean and powerful. This was widely used by us when live mixing much of the top action on the Irish music scene in the 70’s through 90’s. Courtesy of Altiverb we hope to have now shared and immortalized this sound in tribute to the inventors who came up with this wonderful ‘hit’ sound, and those designers who later included it in their own creations." The DN780 is a digital reverb processor from 1985. Martin Dubka sampled all factory-set acoustic simulations presets (and some of the effects too). He later sold the DN780 as the IRs turned out to be spot on. This built like a tank eighties digital reverb offers more then Non-lin. Stairway to heaven , We are the champions, Relax, Stir it Up, Slave to the Rhythm, Do They Know it's Christmas, There's quite a legacy to this studio. founded by Chris Blackwell, now owned by Trevor Horn. This is one of those rare places that has produced records in everyone's collection. Samples were made of the spacious, open sounding live room, known from the Live Aid video. Our own set of mics were used, but also the 'gods' a set of 4 permanently fitted microphones were used. The tight and completely original studio 2 where most of Marley was recorded, the contained, modern studio 3, three functioning plate reverbs, the classic stairwell used on so many productions as an echo chamber, and Bob Marley's huge bathtub, which should be able to hold 1000 litres of water. Nobody dares to fill it up these days, in fear of it coming crashing through the ceiling of studio 1. Analogue delay at its best. This piece of hardware combines a spring reverb and a long tape loop and gives you full control to craft anything from rockabilly slapback to strange noises. Pink Floyd, Radiohead, David Bowie, Lee "scratch" Perry, King Tubby, Sonic Youth and Portishead all tamed the RE-201 in their own way. The spring has been sampled separately. From all 11 modes short and long samples are made with three different "Rates": Lo, Med and Hi, resulting in over 65 impulse responses. Some RESO samples have been added also. These are self oscillating loops with a lengths up to 30 seconds. The Space Echo is a mono reverb unit, the IR's are available in both mono and stereo (double mono) out. The IR contains a bit of the dry direct sound. It is recommended to mute the direct sound in Altiverb when you want to mix the effect. This Space Echo unit was kindly lent to Audio Ease by Manuel Cooymans, DJC Recordings. The Ibanez (Sony) SDR 1000+ Stereo Digital Reverb is a full fx machine from the late 1980's. We have sampled only the reverb programs, as an impulse response of a chorus or auto panner does not work. This reverb unit was sampled at Studio Le Roy in Amsterdam (engineer: Aram Verwoest). Dave Huizing sampled this one for all Altiverb users. Only the reverb presets are present as	most chorus effects do not translate into proper impulse responses. Clean machine, nice spring reverb. Captured by Aram @Studio Le Roy in Amsterdam. Legendary, unique, vintage spring reverb captured by Aram & Arjen @TexAvril (Paris, France) for use Altiverb. Fir Zuidema captured the spring reverb from this classic analogue synthesizer for use in Altiverb. Legendary. Back to the ‘80’s with this hardware reverb. The REV 7 was an entry level ‘PRO’ reverb and was released in 1985. The REV7 comes with 30 presets which cover various size halls, simulations of mechanical reverb devices, simulations of recording studio type acoustic environments, stereo delays, and a range of modulation type effects. The latest are of course not included in this IR set. Although the REV7 has stereo Inputs and Outputs the reverberation is a mono sum of the left and right Inputs. This is the full set of factory presets form the legendary L224 XL digital reverberator. While many of these machines worldwide are deteriorating beyond repair, and parts are hard to get, we have spend a couple of days with a model that worked just fine. All presets are sampled in mono and stereo including their pre-delay. Theoretically some time-variant processes in the L224 prevent a faithful sample for convolution reverb, but in practice we have come extremely close. This was one of the first gated reverb units and was released by Advanced Music Systems, Burnley, England. The RMX is a non-linear reverb. It has one of the all-time trademark reverb presets, Non Lin 2. There are IR's from some of my favourite lo-fi spring reverbs. Three are from guitar amps, and two are cheap rack-mounted spring units. All IR's were made via sine sweep into the front end of the unit (i.e. not just the reverb section), and then recorded back into Pro Tools in stereo with a pair of AKG414s. My personal fave is the Baldwin Professional, a horrid late-'60s solid-state amp with a reverb so cakey and think, it taints everything it touches. I've used this one on records by Tom Waits, PJ Harvey, the Eels, Tracy Chapman and others (Willie Nelson is, for some unaccountable reason, a longtime devotee of this awful amp). The Magnatone 'verbs are also cakey, but much darker and warmer. (Magnatone was a small California manufacturer of the '50s and '60s. Magnatone users have included Buddy Holly, Pops Staples, and Lonnie Mack). The silverface Fender Super Reverb is bright and splashy -- your classic guitar spring 'verb. (Contrary to conventional wisdom, I prefer the sound of this particular amp to most pre-CBS blackface Supers I've encountered). The Tubeworks Real Tube reverb is a surprisingly rich-sounding spring box. The Furman RV-1 tone is nasty, brutish and long. Chapman Recording is fortunate to have 3 EMT plate reverbs. These acoustic devises were made in Germany during the late 1950's and offer the finest "Vocal" reverb available. EMT Plate 1 was originally owned by American Studios in Memphis and was used on several early Elvis recordings. Plates 2 and 3 were once owned by producer Phil Ramone while at A & R Studios in New York. These units can be heard on many of the Aretha Franklin and Simon & Garfunkel hits of the 1960's. All 3 plates reside in the downstairs "Plate Room" and are remoteable to control room B & C.
Chapman Recording has been serving the music, advertising, film and video industry for over 30 years with high end audio services. Located downtown along historic "movie row" the 2 room facility offers a highly creative and experienced engineering staff along with superior customer service. A mix of vintage and cutting edge gear draw clients including Jewel, John Hiatt, Tech N9ne, Nappy Roots, Miramax Films, PBS, HBO and Comedy Central. This one was originally part of thr Arts & Sciences building IR set (Utrecht Conservatory), but since that set hase been split up and scatterd all over the place, here it is on its own: a long (17 seconds) impulse response of a Bösendorfer Piano. Great for all kinds of sound design! "Welcome to the wonderful world of EMT 140st Plate Reverberation. As a gift to the industry, I'm making available gratis these samples of my near mint 140st, vintage early 1971. It was added to my studio when Rachel Elkind and I expanded it into the lower floor of her Manhattan brownstone. I'd become familiar with earlier versions in graduate school, as Vladimir Ussachevsky used one in the Columbia University Electronic Music Center, where I was a student of his. This model is the epitome of electromechanical design, with extremely low noise solid state electronics replacing earlier troublesome tube circuits." This (out-of-production) classic unit cannot be captured faithfully using convolution reverb because it is not time invariant: it uses chorussing. The presets that use chorussing heavily will sound different than what you may expect. However 90 % of these samples are pretty much indistinguishable from the original preset. This set offers all reverb presets with original names. This classic spring reverb was sampled at three decay settings. Mono in, stereo out. Doesn't get any better than this. You need a mac G4 to emulate this sophisticated piece of analog reverb equipment. Mono to stereo (go figure). Accompanying Erik Hawkins' Altiverb review in Mix magazine, here are the BX10 spring reverb samples made by Erik and depicted proud owner Victor Owens. Eric Rehl submitted marvelous samples of these two classic Bring-Me-To-Your-Leader type echo toys. Everything to help bring ADR and other studio recordings back to real life (or filmset-reality). In the audio post category are many domestic spaces like: bedrooms, living rooms, kitchens, hallways, stairwells, halls but also complete castles and museums. Then there are cars, trains, airplanes, helicopters, factory halls, tunnels, forests, streets, fields and acoustic marvels like gasholders and a huge steel cilinder on a pipe-laying-vessel. Scroll down to see all these wonders. Setup: Genelec 1037 and 4 DPA 4006's mounted on the spider. Recorded using a Tannoy Reveal monitor Speaker, a Sony car radio, 4 DPA omni directional microphones and a powerbook with Digital Performer and the Metric Halo Mobile I/O audio interface. Bij de Leij is a beautiful old fashioned stainless steel tank factory in the north of the Netherlands. The Impulse Responses were made simply by banging steel with hammers and mallets. We felt very much ’in charge’ walking around in a place like this, authorized to smash whatever we preferred. This warehouse situated in the middle of Rotterdam, in one of the most beautiful parts of the ‘old city’. Captured between two rivers in the old harbor. This venue has been used as warehouse and also as exposition room. The place is like a parking garage, lots of concrete & pillars and large size spaces, as big as the entire floor. We sampled a big and a smaller room on the 2nd floor of this fantastic building. Underground flood tunnel in the city Utrecht, The Netherlands. This 120 meter (400 ft) long concrete underground tunnel in the center of the city is not accessible for public. During a transitioning phase of re-opening part of the formerly closed canals in the city we had the chance of getting into this tunnel and sampling it for your pleasure. This place is concrete all over, great for choirs, low frequency synth drones, new age pads or sound effects.